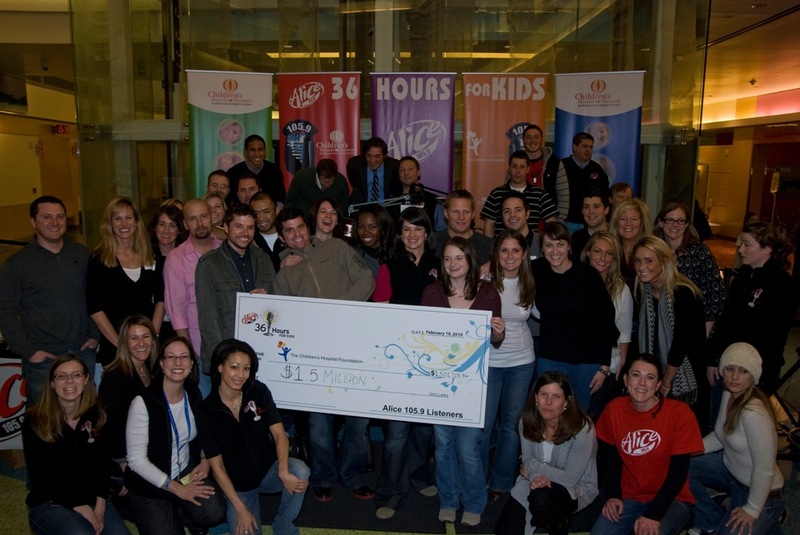 For over 9 years, Alice 105.9 has been a proud partner of Children’s Miracle Network and The Children’s Hospital. The Children’s Miracle Network is an International a non-profit organization dedicated to raising funds and awareness for children’s hospitals. It encompasses170 premier children’s hospitals treating more than 17 million Children Each year. All funds raised locally are used locally. In these 9 short years, Alice listeners have raised over 9.0 million dollars. Alice’s 36 Hours for Kids is a one-of a-kind radio Marathon embraced by the Denver community that continues to grow each year. This year proved to be no different.